When children or the parents of children enter the legal system, whether through illegal activity by the child or as a dependency/At-Risk Youth/CHINS participant (either parent or child), they need experienced, dedicated representation from an attorney who understands the Juvenile Court system. Without proper guidance, your child's future or the future of the entire family unit could be jeopardized. As an experienced Seattle juvenile law lawyer, I understand the serious and lasting consequences associated with juvenile matters. I will review your situation, your child's situation or both from every angle to determine the best course of action. My goal is to obtain the best resolution based on your child's long-term needs in delinquency cases, and in family-in-crisis cases as well. I lead a highly competent legal team that supports my efforts to obtain the best possible resolution for my clients. 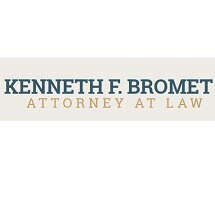 I handle every aspect of juvenile court cases on behalf of the juvenile, the parents and often other relatives as well. My extensive experience enables me to anticipate how judges, Child Protective Services (CPS) case workers and other attorneys may approach your case. I can leverage my experience to tailor my representation to your unique needs. My firm's juvenile legal practice extends beyond delinquency matters. I have extensive experience representing parents (and children) in dependency actions where DSHS and CPS are involved with your families' issues, because of issues of abuse or neglect. I also provide extensive guidance and diligent representation for families in crisis where the problems are the issues between family members. I understand the extreme emotional issues associated with out-of-control kids. I strive to help children regain appropriate and beneficial relationships with their parents and siblings to thwart future delinquency issues as well as to keep the child's most important future resource - his or her family - intact and functioning as smoothly as possible (which is clearly not always easy with teenage children). I am known throughout the legal community for my dedicated juvenile law advocacy. I have handled thousands of cases over the years and am often assigned by county courts to represent juveniles in dependency cases as well as in delinquency matters. I advise my clients on the consequences of their case and provide detailed information so they can make informed decisions.